A big thank you to everyone who contributed to MSA to make for a successful Spring Trip! 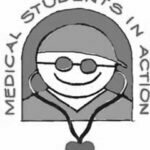 The MSA medical team wants to give you all a huge thank you! 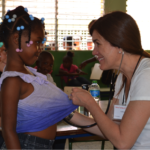 Per our fundraising efforts, we were able to see 1200 patients in the Dominican Republic from March 31st to April 6th! We feel so blessed to have been able to help so many people and been given the opportunity to give back to the most deserving community, Ranch al Medio. 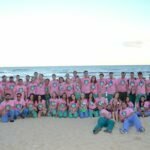 The compassionate and selfless nature of all our students, doctors, and first year medical students paved the way for us to experience such a successful and humbling week in the DR! Thank you for making this the best trip! As we do every year, we set up full-scale working clinics at the local schools and churches in the remote villages. We provide healthcare in ophthalmology, general medicine, pediatrics, OB/GYN, cardiology, orthopedics, dentistry, and dermatology. 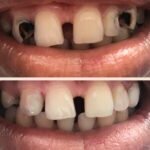 We also offer life-changing dental restorative surgery, dental fillings, and deep cleanings, thus limiting the number of tooth-extraction procedures. 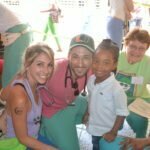 MSA relies on private donations, which we use to purchase the necessary medications and medical supplies for our patients. In addition, donated pharmaceuticals and vitamins make up for any deficiencies that are not available to us. Rancho al Medio will be the main site for the 5 clinic days. In the past we have visited several sites, but we feel this area is in urgent need of care this year. Evening attire is very casual during the week → jeans/shorts and t-shirt are appropriate. On the last night we go to dinner at a nicer restaurant in the capital.